There is good reason for collectors to favor gilt Rolex in some circumstances. 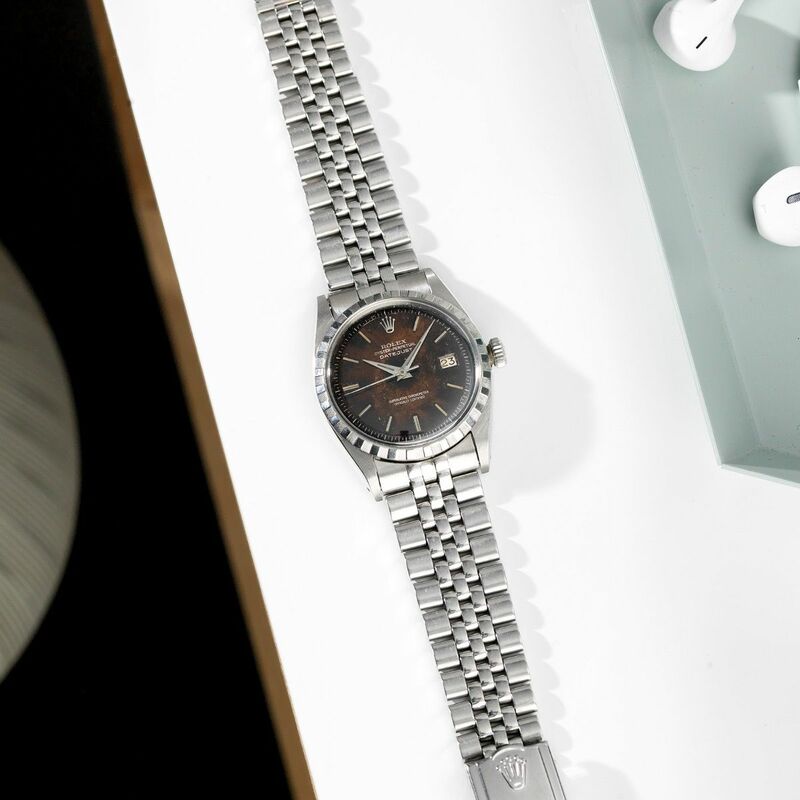 There is also no need to explain the appeal of the Datejust design. When you combine these two descriptors and apply them to a 6605 that has clearly seen some life, the result is simply incredible. This piece comes from Dutch seller Bulang & Sons. The dial is simply incredible in its marbled tropical appearance. The fonts, markers, and hands, all appear perfect. The small amount of wear on the bezel and crystal are enough to indicate that they are likely original. The case may have been polished here, it’s hard to tell from the pictures. The movement shows no signs of inappropriate wear. Shown on a Jubilee bracelet, this example measures up to every bit of the ionic 6605 reputation.